Nothing can equal the delight of waking in the morning rested, having enjoyed a full night of sleep, with your head comfortably cradled in the nest of a pillow. We may not be able to remove the variables of stress affecting sleep, but we can control the type of pillow we use. For seven years, I slept on the same pillow. It was missing stuffing, never smelled fresh despite a good washing, and gave no support for my head or neck. Not surprisingly, I suffered from headaches for a large amount of that time. I finally realized it was a pillow issue when I spent a week in a well-kept hotel that invested in its mattresses and pillows. My headaches were better, and my neck was not stiff. It was time to look for a new pillow. Fortunately, I took the precautionary measure of checking out several pillow reviews prior to making a purchase. I was torn between a gel infused, cooling memory foam pillow from Macy’s, which sells between $80 to $120, and a MyPillow pillow, which retails at $79.98 on Amazon. As I researched, however, I noticed that MyPillow has come under fire from purchasers for poor quality, lack of durability and low value. Online reviews commonly say that after sleeping for a few nights on a MyPillow, the distribution of material settles into an uneven, lumpy mass. The head leaves a permanent indentation on the pillow, resulting in less support than many of its competitors, and the sides of the pillow are stuffed with a predominance of filling. One of the most common complaints about the pillow is that it flattens easily after very little use, and the user can feel the lumps when pressing on the pillow. A good support pillow is a requirement if you use an anti-snoring device such as the SnoreRx. The contents of the pillow are chopped foam, forcing it to lay unevenly. The foam pieces vary in size, and because the chunks are not uniform, they don’t allow for an even distribution of support. Compared to memory foam pillows and the multitude of supportive pillows on the market, the MyPillow has limited support for neck and spine. Most of us would rather not have to change our pillows more than once every few years. There are plenty of indicators which alert you when the time has come to change your pillow. But when you’ve only slept on your pillow a few nights, and the foam cushioning is flattened and lumpy, your headache may not be due to the mental stress of a poor quality pillow. It may be due to the muscle strain of an uneven pillow. Other headache complainants write about the amount of time it takes to adjust to the use of a MyPillow. By the time they feel they have adjusted to the new pillow, it has worn down to an unsupportive, lumpy blob. 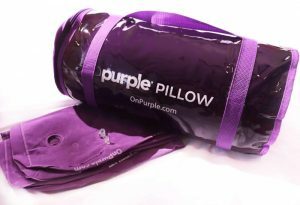 Several reviewers have attempted to return their MyPillows to the manufacturer, but the pillows can only be returned if the owner has the original documentation and packaging. If you are not a person who saves all packaging and receipts, and very few of us are, you won’t be able to return your purchase. MyPillows are the same price, in general, as a down feather pillow. Macy’s has high quality, authentic down pillows available for $80. The premium MyPillow can be found on Amazon for $79.98, and the classic is $49.95. However, the quality and comfort of the MyPillow can’t compare with most down pillows of equal value. 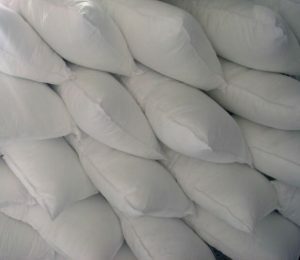 There are claims of false advertising regarding the quality, value, and durability of the pillows. 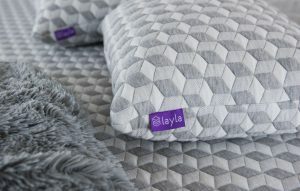 The hype we see on television, the radio, and the internet regarding these new pillows can lead to disappointed consumers. Once the pillow is purchased, packaging tossed and the material put to use, most reviewers report a low opinion of their purchase. Unfortunately, some reviews appear to have been falsified, although MyPillow has not addressed the issue. After a quick but careful study of pillows on the internet, I visited several retail stores to try out pillows. If you haven’t had that experience, take someone who is fun-loving along with you. It’s as amusing an experience as purchasing a mattress, but a little less draining on the wallet. I am pleased to report that I found a pillow which meets all my needs, at a good price and with a clearly stated and reasonable return policy. Glad to see others with same experience with MyPillow…no matter how I try to lay down on it (and should I have to relearn how to go to sleep for the sake of a lumpy pillow?) that interior does exactly what the ads say it does not do — the part you lie on sinks down so most of the innards are up at the top. I started to get one of these on line and when I saw you had to waive your rights with “terms and conditions” before you even completed the transaction I stopped, mistrusting any manufacturer who feels that need! So I got mine at Bed Bath and Beyond and did better with the 20% coupon — well, better in price, but this is much poorer than the adequate ones that I stupidly decided to replace because I believed those ads. this pillow is the worst pillow I’ve ever owned. It flattened out in less than 6 months. If Mike would cut his stupid commercials in half, he would be able to give a crumby pillow to everyone in America. A free pillow! Three commercials in a half hour program is a little much. I am sick of the stupid commercials. I am sick and tired of hearing on our local station, and several TV channels that monotonous Mike ranting on about his wonderful pillow. Given the large number of complaints I am stunned, shocked by the number of media sources that promote his junk. Some people will do anything for an advertising buck.